Pool Heater Installation. 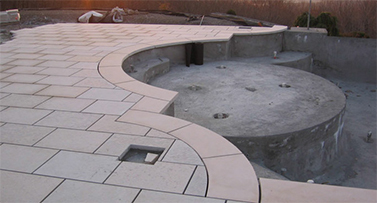 We pride ourselves on offering the highest quality installation services in the Minneapolis, MN area, including professional pool heater installation. Pool Heater Sales. 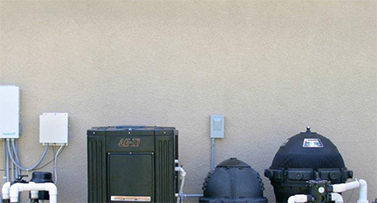 The pool heaters we sell include products by Raypak, Hayward, Pentair, Teledyne Laars, Rheem. Learn more about your best options by contacting our friendly staff. Pool Heater Repair. Is your pool heater failing? Call one of our friendly staff members and we can begin the process of diagnosing and fixing your pool heater. How Much Does a Pool Heater Cost? The normal price of a pool heater ranges from $2,900 to $3,600. Right now, the pool heaters range from $2,500 to $3,200. Especially if you live in a warm state such as Minnesota, it is a common belief that not installing a pool heater is an effective way to cut costs on your swimming pool investment. Pools can be costly to maintain. That is why it is important to know that installing a heater will actually save you money in the long run. Installing a pool heater means that any time of the day or night that you’d like a swim, the water will be ready at a comfortable temperature. Without a heater, the water temperature will cool down quickly at night and only gradually heat up during the day. This process can take hours, reducing the amount of time you can actually use your pool. Another cost saving feature of pool heaters is that they make it easier to keep the bacteria and enzyme level in your pool constant. Without temperature fluctuations, the pool environment is much more stable, making it easier to control and balance. Sundays Off Pools has the knowledge and experience to install your pool heater correctly the first time, reducing your need for any follow up repair and making sure that your heater always functions properly. There are a variety of pool heaters available, some which use natural gas and others that use propane. Based on the size of your pool, your location and whether the pool is above or below ground, some heaters will be better for your pool than others. Our skilled professionals can make recommendations on the best unit for your pool, making sure that your unit is cost effective and energy efficient. In the event that you do need a repair, our technicians can solve your problems quickly, replace the necessary parts and offer guidance to make sure the same issue does not repeat itself.